Quiche is always a hit for brunch, but can be time-consuming due to having to prepare, roll out and pre-bake the crust. Luckily, this crustless version is just as delicious, and lower in calories and carbs to boot! 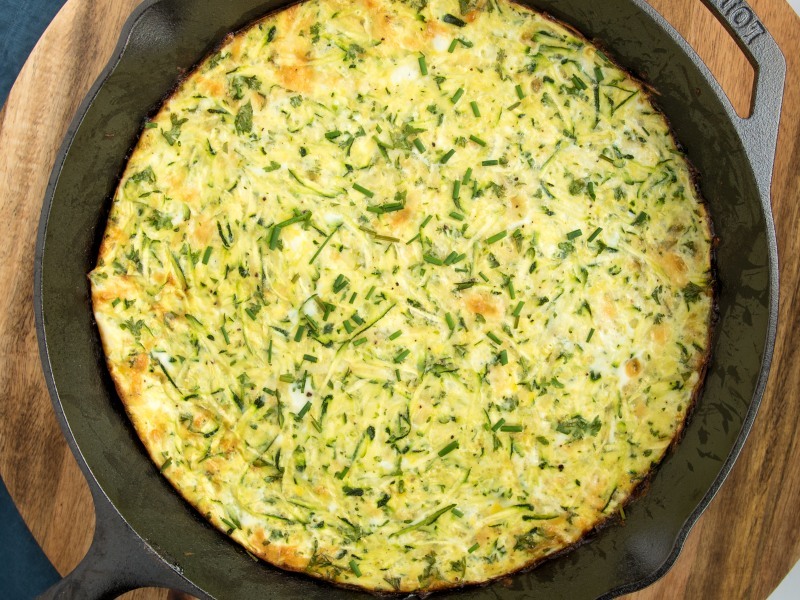 The easy egg dish is packed with shredded zucchini and a mixture of shredded cheese for a creamy texture and mild, delicious flavor. Baking it in a cast-iron skillet is naturally non-stick and guarantees those tasty crispy edges. Serve it as the centerpiece at your next brunch with a side salad and mimosas. The quiche is also wonderful reheated or served at room temperature for breakfast or lunch the next day. Instead of grating the zucchini, try spiralizing it with the 2mm blade to get a more uniform texture to the vegetables. It will add a bit of texture to your quiche. If you'd like more nutrients, add 3 cups of baby spinach to the zucchini and cheese mixture and stir until wilted. Per Serving: 278 calories; 20g fat; 5.1g carbohydrates; 19g protein; 285mg cholesterol; 368mg sodium. 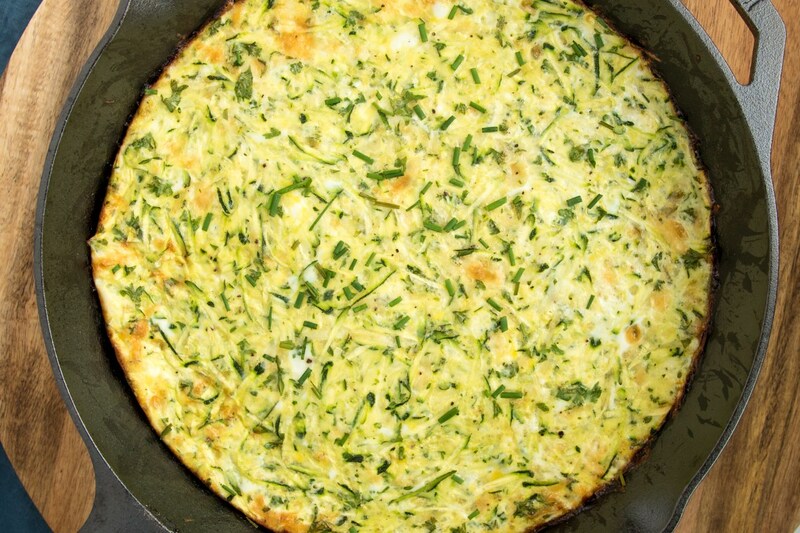 Zucchini and eggs go great together. Even better with some cheese. Add an excuse to break-out the cast-iron and I am sold. This is a great dish that tasted good even after it cooled to room temperature, so you could even take it on a picnic, I'd think, or even pack it in a work lunch. 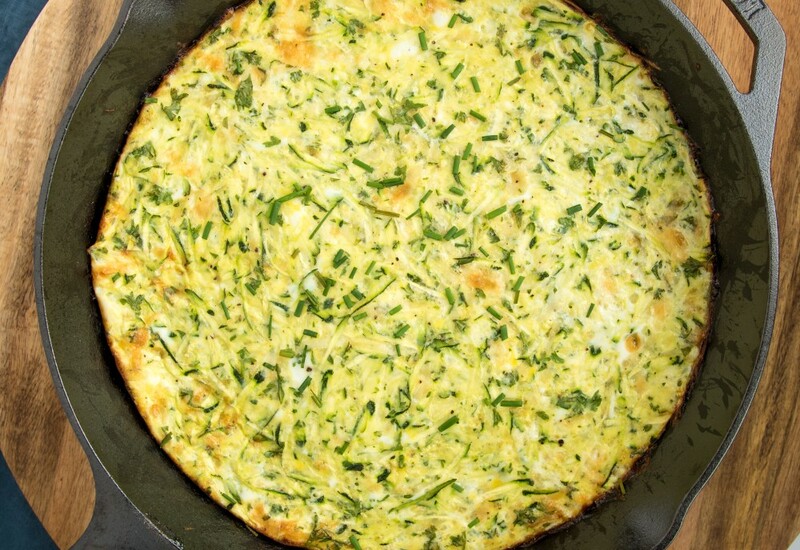 I love zucchini and quiche, and was really pleased with how they worked together in this dish. We used a spiralizer and it worked well. This is definitely one of our favorite breakfast dishes. My co-workers ask me to make it all the time and bring it in to the office. Tasted great. Mine was not quite done at 45 mins so left it in a little longer. (I hate runny quiche.) I didn't have half and half so made it from 1:3 proportion of heavy whipping cream and whole milk and that works fine.